Thanks to Dr. Sleiman Khalil, Al-Assad Hospital (Syria) for contributing this case. To contribute a Case of the Week, follow the guidelines on our Case of the Week page. (1) This will be our last Case of the Week email for the year 2015. Best wishes for a wonderful Holiday Season and a very Happy New Year from the staff at PathologyOutlines.com! (2) Congratulations to our newest Commercial Email Contest Winner! Please make sure to sign up for and read our Commerical Emails for a chance to win at another contest! (3) Congratulations to our October / November Shop Amazon Contest Winners! Thanks to everyone who supports PathologyOutlines.com by shopping at Amazon.com through the link on our website! A 4 year old Syrian boy from a small city was diagnosed and treated for a spring allergy a year ago. Recently his symptoms worsened. 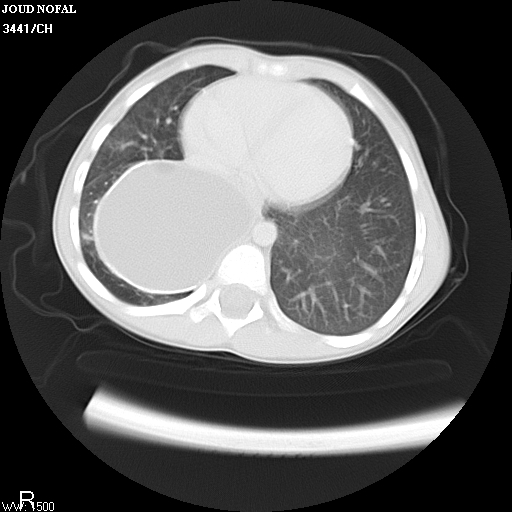 Chest Xray revealed a cystic mass on the right side of the lower mediastinum. 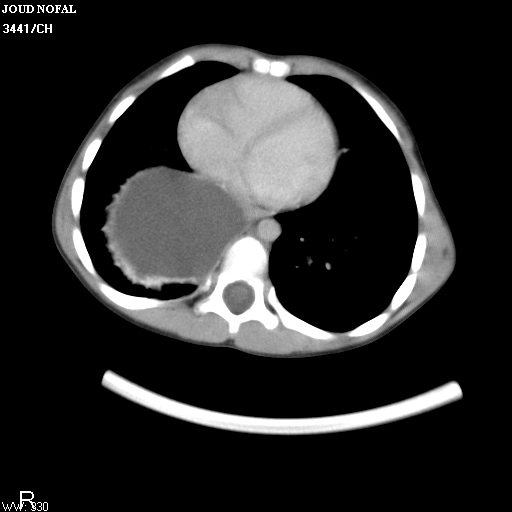 CT scan showed a large cyst above the diaphragm. His lab values were within normal limits. 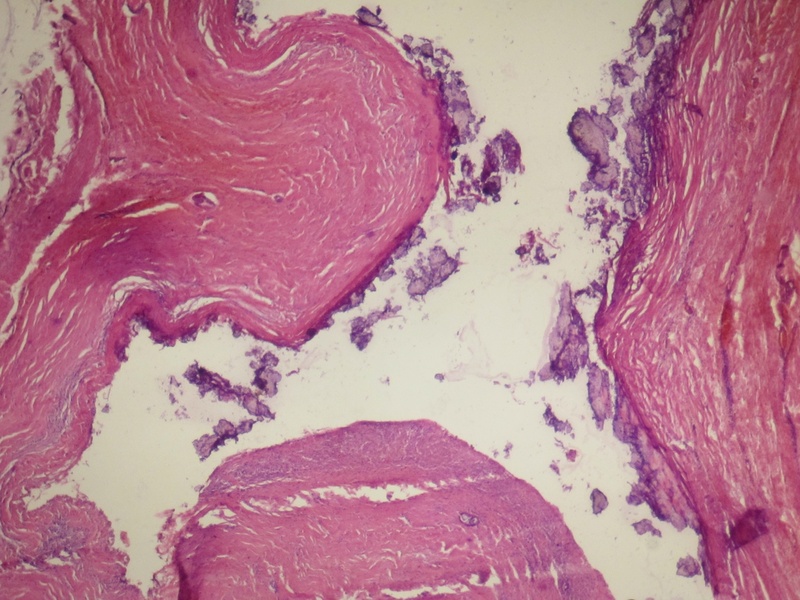 The surgeon suspected a hydatid cyst, and excised the cyst entirely. Grossly, the cyst measured 5 cm in diameter and was filled with necrotic fluid. The cyst wall was 0.3-0.7 cm thick. Ectopic pancreatic tissue is pancreatic tissue that lacks anatomic and vascular continuity with the main body of the pancreas. A developmental anomaly found in about 2% of autopsies, the vast majority occur in the gastrointestinal tract (Thorax 1977;32:512). 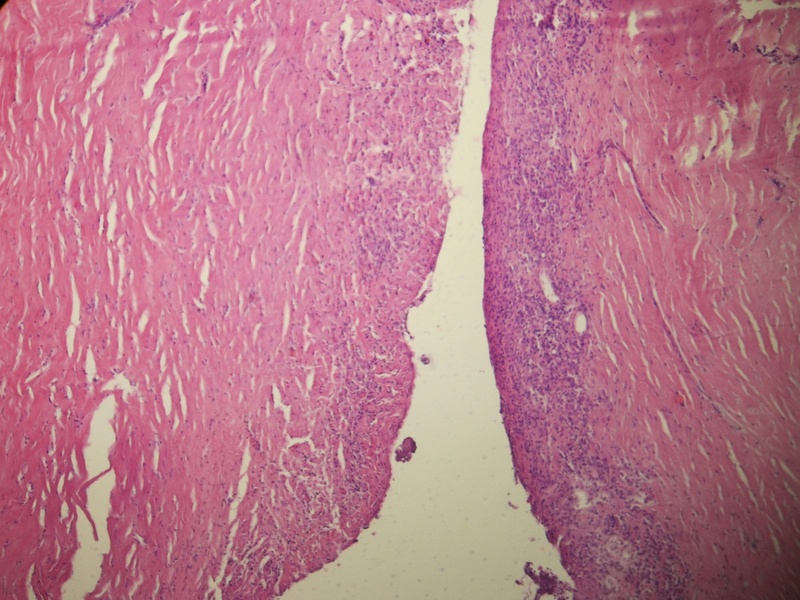 Ectopic pancreatic tissue in the mediastinum is quite rare, with about a dozen cases reported in the literature. The etiology remains unclear, although two theories have been proposed. 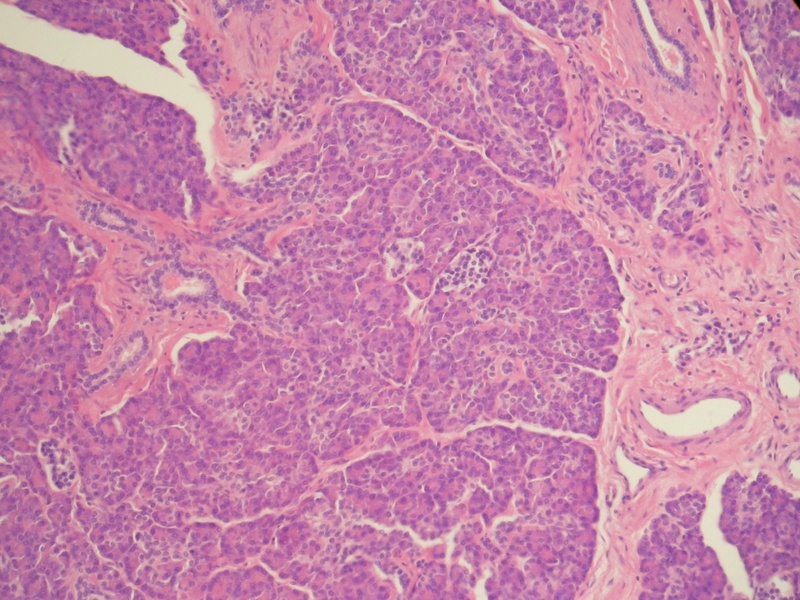 First, ectopic pancreatic tissue in the mediastinum may be the result of the abnormal differentiation of the pluripotent epithelial cells of the ventral primary foregut, since the pancreas and the lower respiratory tract share a common embryologic origin, the primitive foregut. Second, a number of cells from the pancreatic bud may migrate and locate at a different site (Eur J Cardiothorac Surg 2001;19:514). Mediastinal ectopic pancreas most commonly occurs in the anterior mediastinum, and cystic degeneration / pseudocyst formation is commonly reported and is due to failure of drainage of exocrine fluid, inflammatory exudate and intralesional bleeding (Oncol Lett 2014;7:1053). Clinical symptoms depend on the size of the pancreatic tissue and location, as well as the degree of inflammation. 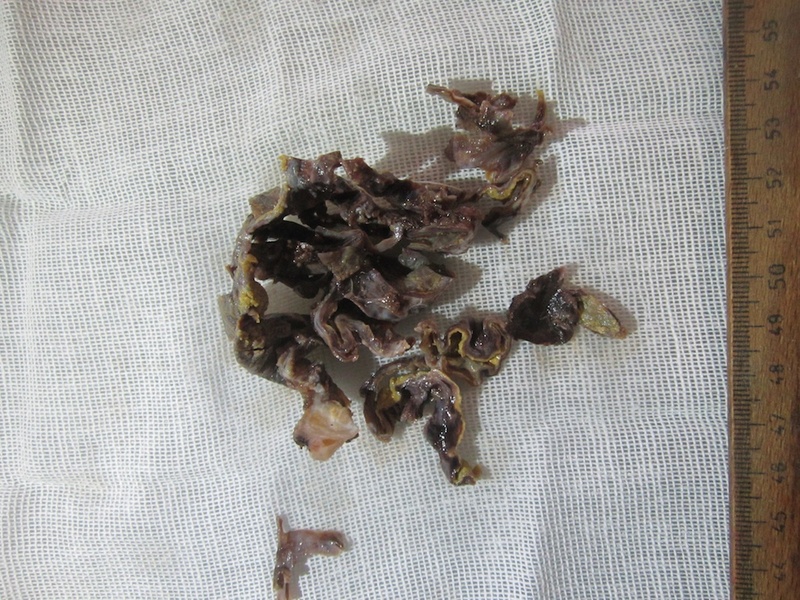 One reported case presented as lobar pneumonia (Zentralbl Chir 2009;134:178). 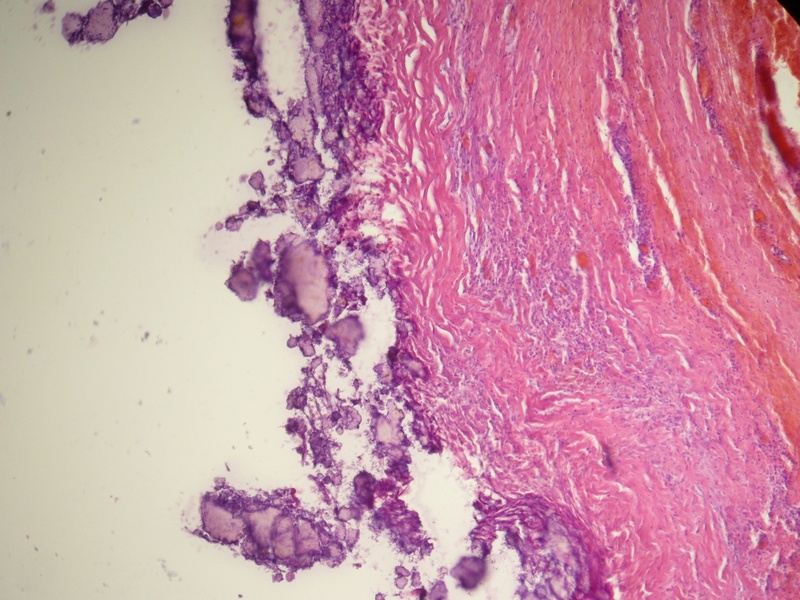 In another case, mediastinal pancreatic tissue was found to affect glycometabolism, with a patient's diabetes mellitus worsening upon removal of the tumor (Interact Cardiovasc Thorac Surg 2013;16:413). 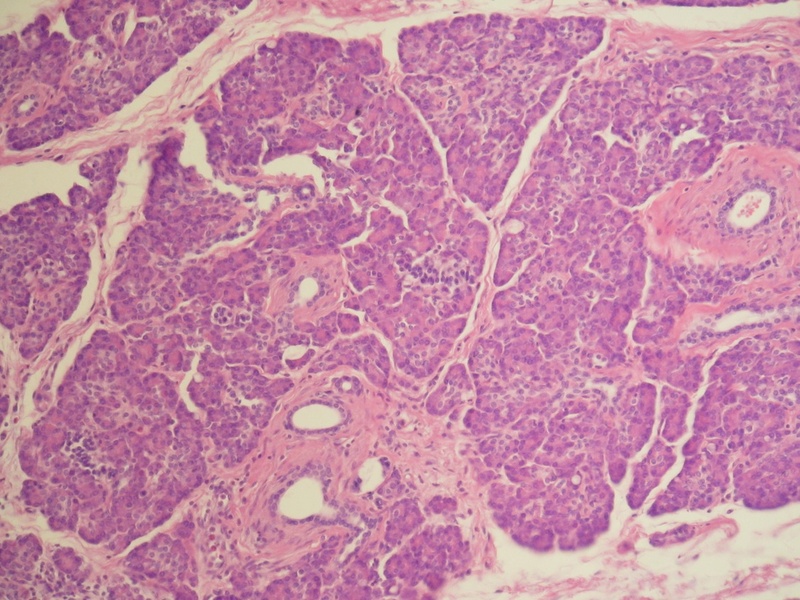 Grossly, the tissue consists of a cystic, lobulated mass, often filled with necrotic fluid. 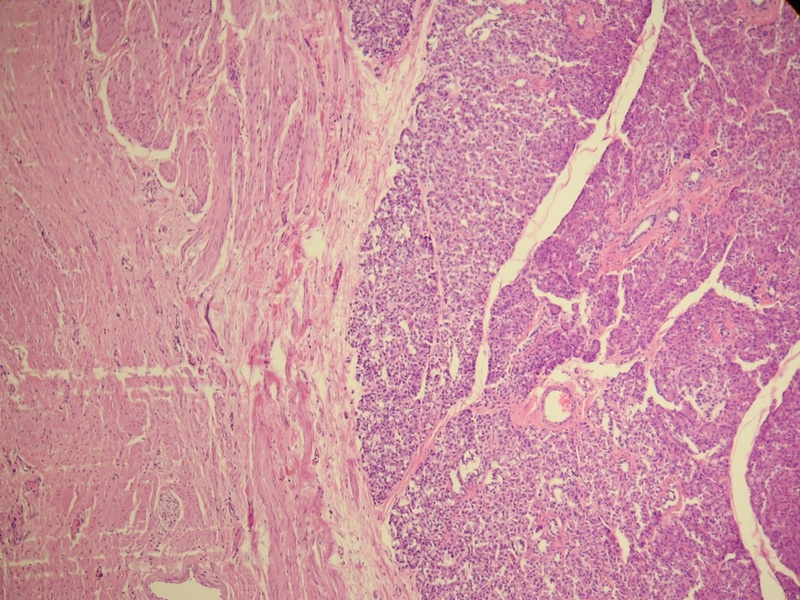 Histopathology shows pancreatic tissue resembling adult pancreas. There are acini of exocrine tissue, islets of Langerhans and epithelium lined ducts. 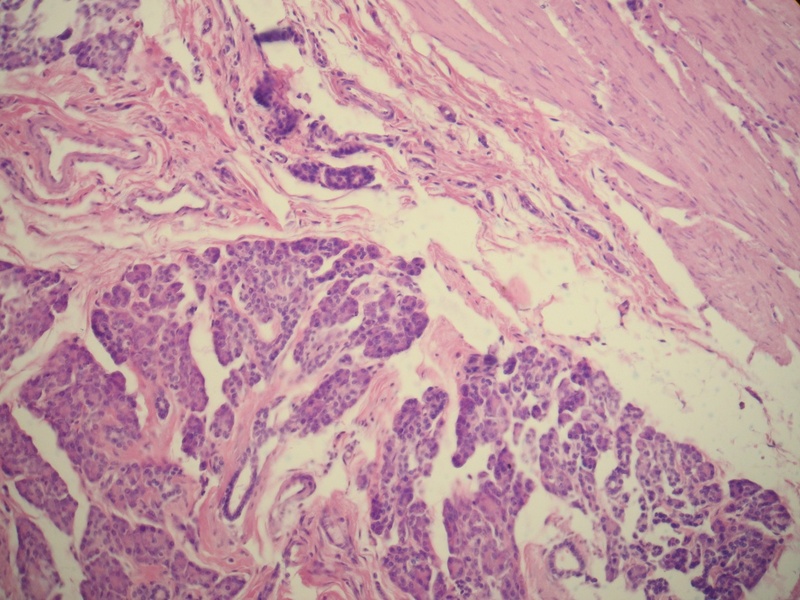 The exocrine tissue is divided into lobules by fibrous septa, and the islets are seen within or at the periphery of these structures. 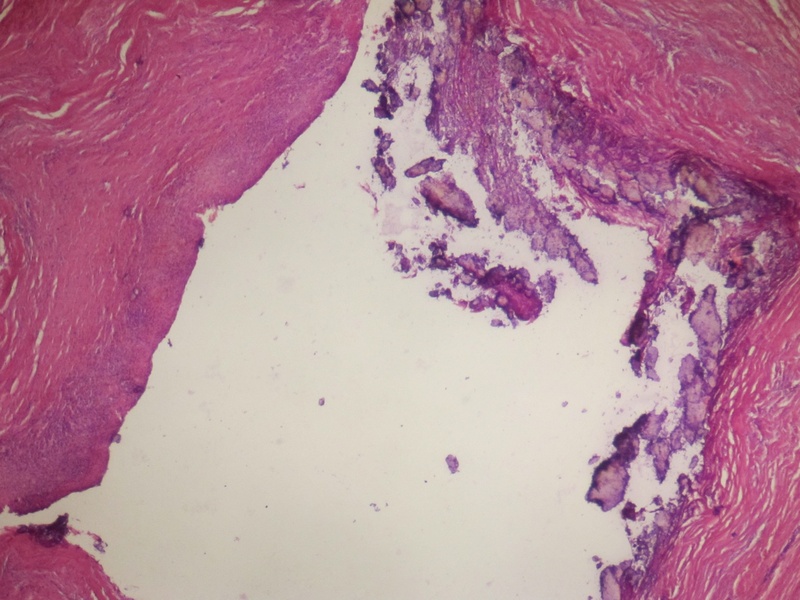 Cystic areas are partially lined by columnar epithelium, but in many areas the lining is absent, replaced by collections of foamy macrophages, fibrosis and possibly calcifications. There may be atrophy of the pancreatic tissue (Thorax 1977;32:512). 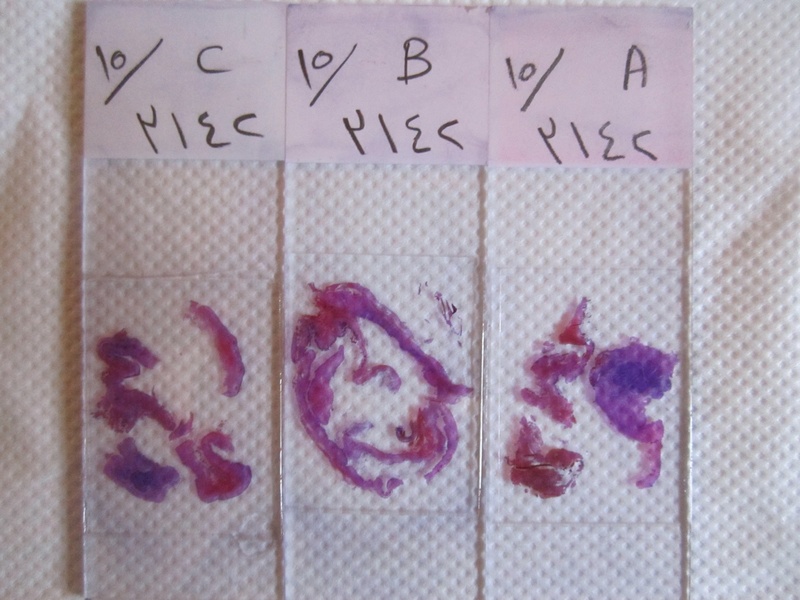 Presence of pancreatic islets can be verified by positive synaptophysin and chromogranin immunohistochemistry (Eur J Cardiothorac Surg 2001;19:514). The differential diagnosis may include mediastinal teratoma, as these also occur in the anterior mediastinum (Thorax 1977;32:512). Examination of an adequate number of tissue blocks can exclude the presence of other tissue components (ectoderm or mesoderm). The majority of cases have excellent prognosis following surgery, and recurrence is rare (Oncol Lett 2014;7:1053, Eur J Cardiothorac Surg 2001;19:514).